If you were reading/following/occasionally checking my blog this spring, you would’ve noticed quite a bit of food photography. This is because the photojournalism department chair, David Rees, had our capstone class do two one-photo-a-day-for-30-days blog challenges — and eventually, I resorted to photographing the food that Jeff and I were making. Because everything else was getting boring. But I’d like to thank David, as I am now a legitimately prolific food photographer: Half of my assignments this week for The Atlanta Journal-Constitution have been of food. © 2010 by The Atlanta Journal-Constitution. (Click on the image above to read the relevant article on ajc.com.) 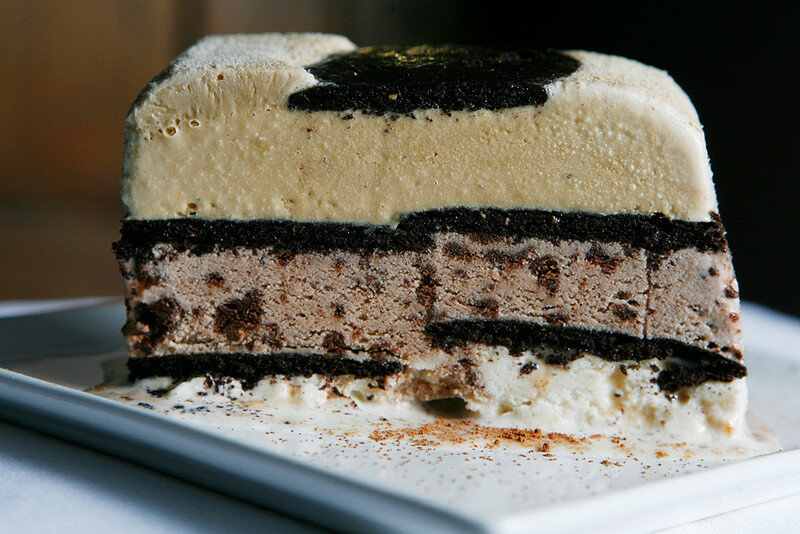 A slice of frozen mocha toffee-crunch terrine. Shot with one light. © 2010 by The Atlanta Journal-Constitution. (Click on the image above to read the relevant article on ajc.com.) 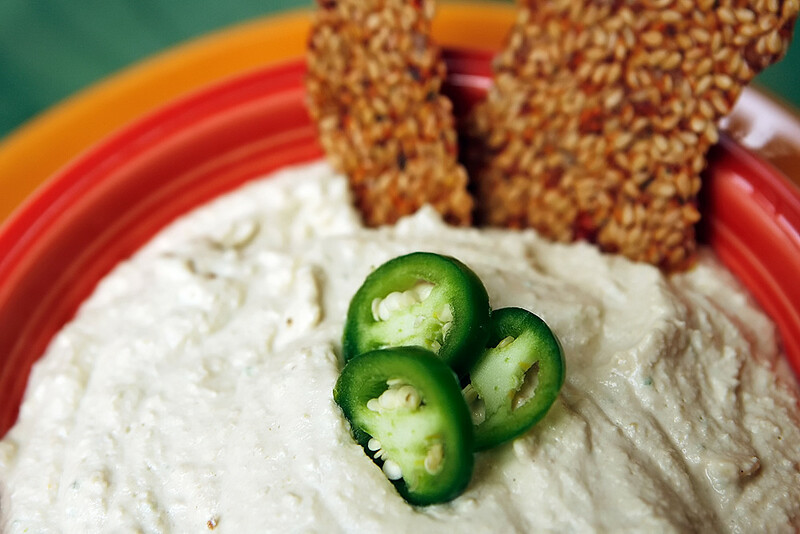 Hummus made with sprouted chickpeas and a little jalapeno. Shot in natural light, in the shade. © 2010 by The Atlanta Journal-Constitution. (Click on the image above to read the relevant article on ajc.com.) 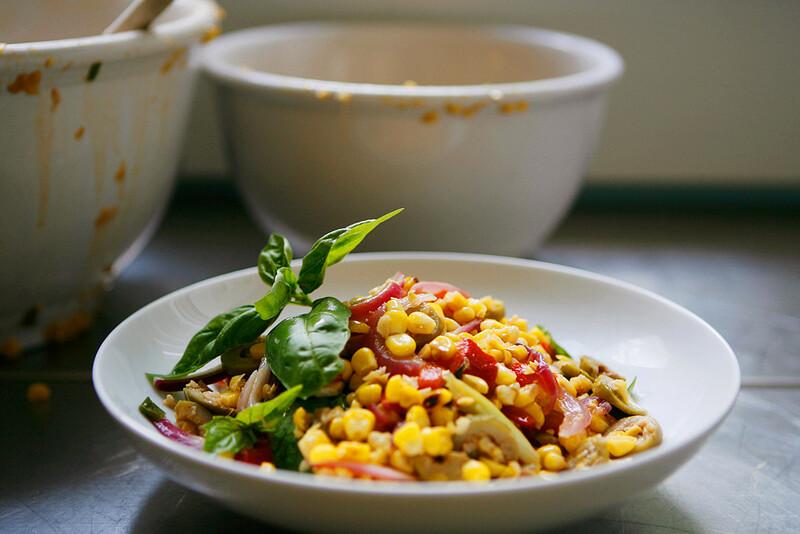 Roasted corn salad with peppers, green olives and basil. Shot in natural light. © 2010 by The Atlanta Journal-Constitution. (For the same corn feature as above.) 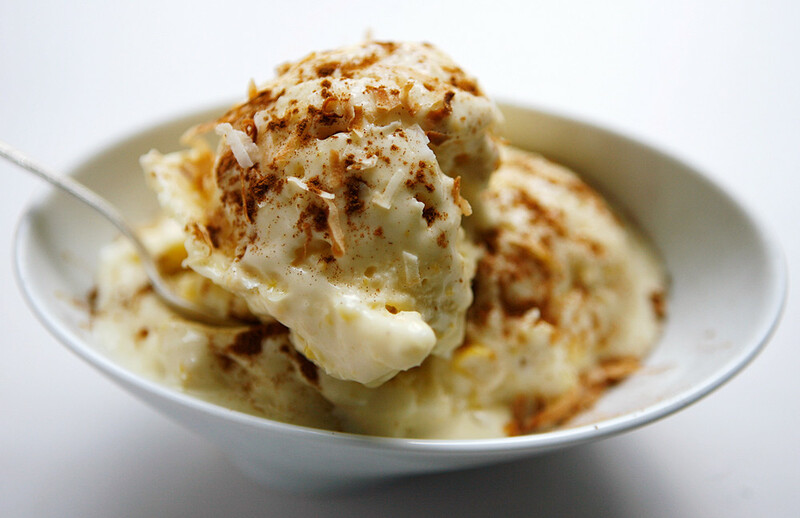 Sweet corn and coconut ice cream, topped with cinnamon and toasted coconut. Shot with natural light and a bounce card. Corn and coconut ice cream. It was delicious. I am actually craving it right now. I really dig the “roasted corn salad with peppers, green olives and basil” photo. Looks pretty — and delicious. It was very delicious. If you hit up the article (click on that photo), there’s a recipe at the bottom! Your food photos are making me hungry. I’ve been editing video for hours at Lakota. Sadly, nothing around here makes that kind of food at this time of night. Sorry Erin. 😦 I’m craving that corn ice cream — a lot. So that other Emily isn’t me, but I think we share a brain because I totally concur with her comment. Just FYI. Nice, Chris! Maybe we’ll get to do another food shoot together! Thanks Wendell! I sure hope we can do another again – it was great working with you!